Totally diggin’ Lens on Life — a nonprofit org that has partnered with schools and organizations around the globe to host programs led by volunteer photographers. Their first program, led by Stephanie C. Roberts and Jen Lemen, takes them to the Koseli School — a center for slum and street children in Kathmandu, Nepal. There they will be teaching students (age 10 and up) the art of photography using donated iPhones. 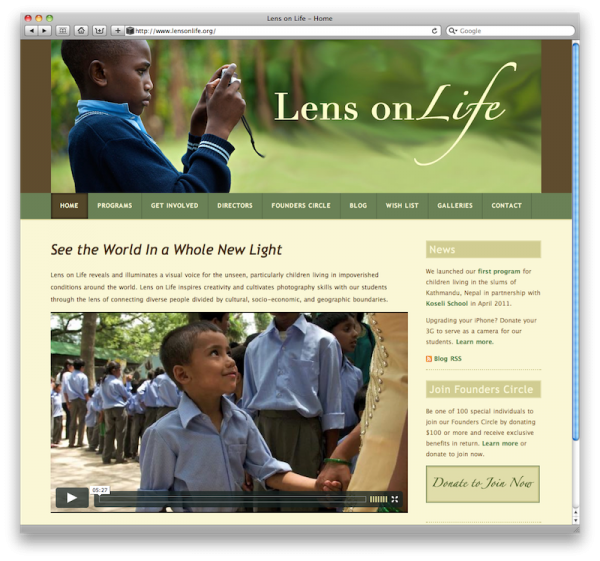 To get involved or learn more about Lens on Life, visit their site at lensonlife.org.